Yesss! The sun is shining and that can only mean one thing – it’s officially the start of barbecue season! And that means it’s time for black bean burgers. Good black bean burgers. I will admit, one of the toughest things since I became veggie was getting a decent burger for the BBQ. There are plenty of other options – potato salad, grilled veg kebabs, halloumi cheese, salted corn, garlic bread, baked potatoes, – but the I always found the burgers subpar (don’t get me started on soy sausages). So it became a mission of HurryTheFoodUp to create an enjoyable veggie burger. More than enjoyable, in fact. A veggie burger that we’ll truly look forward to having on the barbie. And so, here it is. A wonderful black bean burger. That doesn’t fall apart! Yes, it sounds unrealistic, we know, but it’s true! It holds together really well, and no longer will your veggie burgers be the laughing stock of the barbecue as they slip through the grill to slowly reduce to ash in the coals at the bottom. 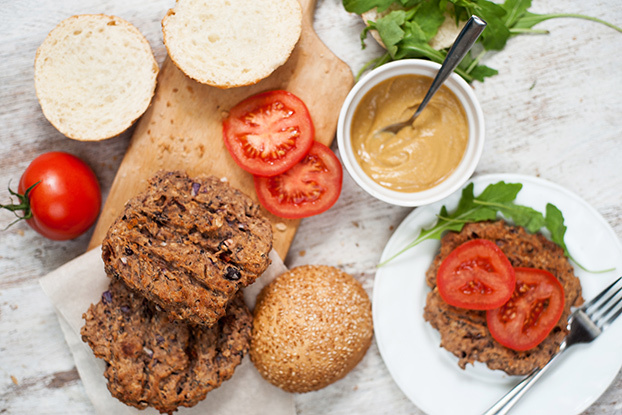 Black Bean Burgers – vegan or vegetarian? During the several (many) tests of this recipe, one of the iterations came about when I’d run out of eggs. I hadn’t noticed until I had a full mixing bowl and a ravenous hunger, so I was determined to make the mix work, with or without the egg. And it did! It was quite simple, truth be told. 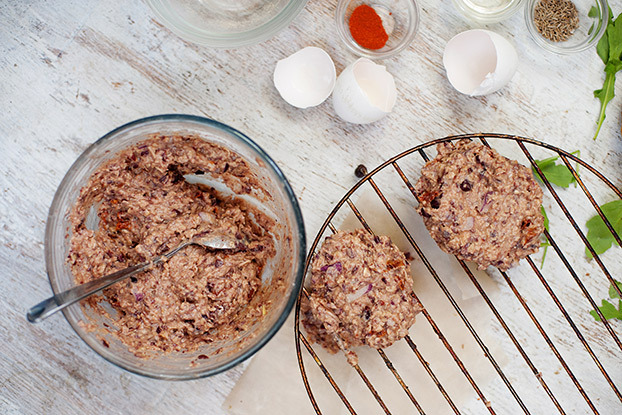 I opted for a ‘flax egg’ – quick and fantastic as a binder. Flax is a decent source of omega 3, too. 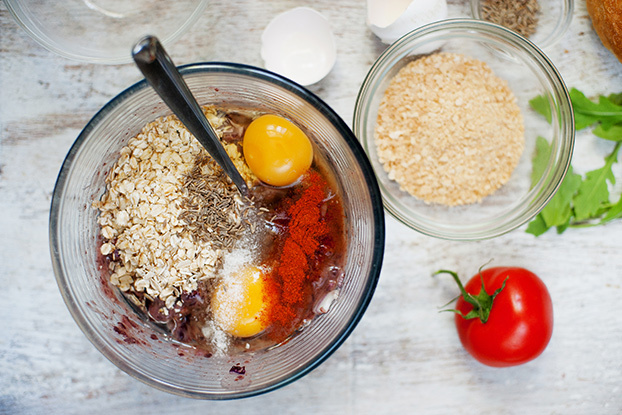 Just mix 1 tablespoon of flax seeds with 3 tablespoons of hot water, stir, and let settle for a minute or two. You have a flax egg. That was it, and the results were perfect. 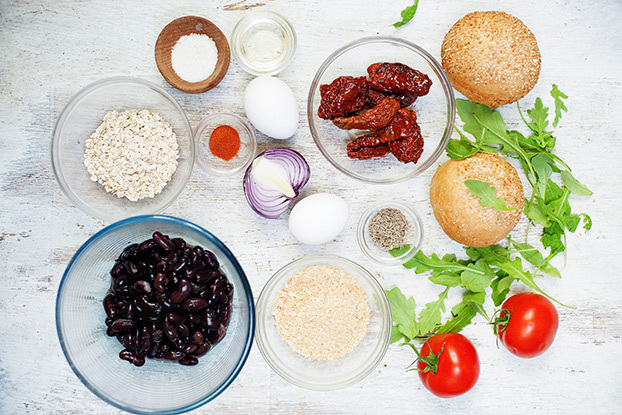 Egg is/was the only non-vegan item in this recipe, so simply replace them with the flax eggs and you’re sorted – you have a vegan black bean burger ready to throw on the grill (or in the pan). 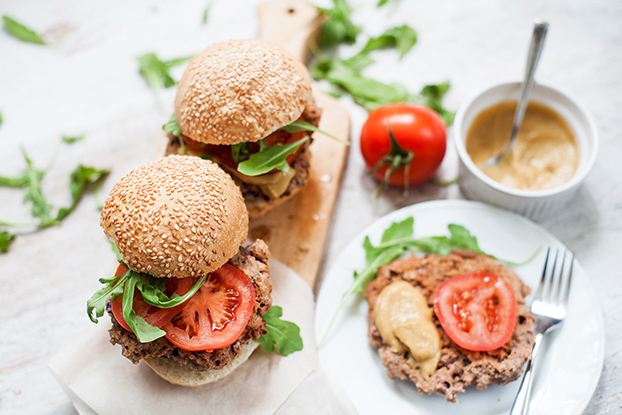 With or without the eggs, these burgers are an excellent source of protein – one of the biggest worries for vegans or vegetarians (and we should know, we’ve done countless research surveys on the topic!). 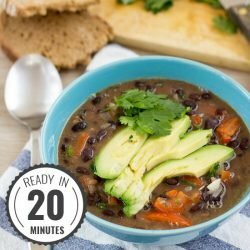 Black beans are incredible for both protein and fiber. You can also see exactly how much protein you need right here. And a final note: our new ebook is out! 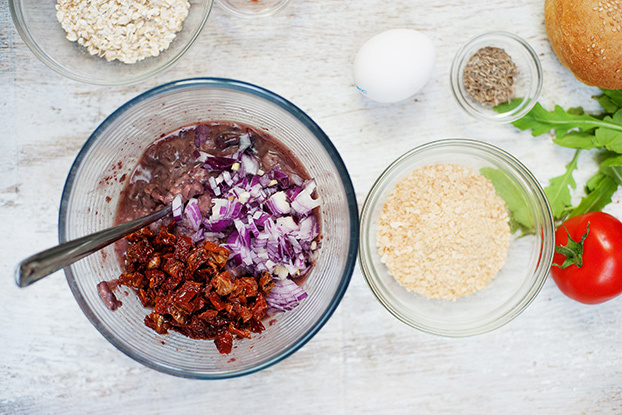 Breakfast in Six is full of exclusive vegan and vegetarian recipes (we take care of gluten-free and high-protein too) that have never been seen on our site. 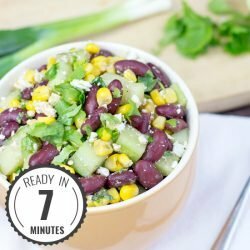 They’re really quick and use only six or less ingredients. It’s time to take breakfast up a level. 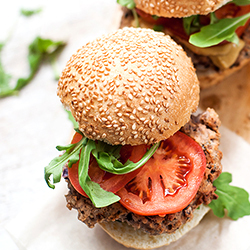 Black bean burgers that don’t fall apart, taste awesome and are even vegan-friendly! What could be more BBQ perfect? Time to get the grill on. Rinse and drain the black beans. 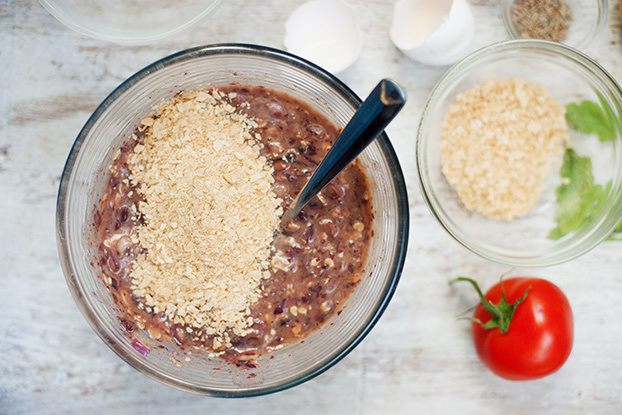 Place in a large mixing bowl and blend with a hand blender. Alternatively, crush the beans with a fork/masher. Dice the red onion and sundried tomatoes and add to the bowl. Next, add the oats, eggs, salt, cumin, paprika, olive oil. Give it a good stir. Finally, add the breadcrumbs a little at a time until you’re left with a nice, firm mixture. If you don’t need to use all the breadcrumbs, that’s totally fine. Mould the mixture into burger patties. Wet your hands if it's too sticky. Fry in a little oil in a pan, or place on a BBQ/grill. Cook for about 5 minutes on each side, turning occasionally. Serve with your favourite burger ingredients - a bun, lettuce, tomato, cheese - whatever you fancy! Need some dips to take with you? How about some homemade salsa? Or what about fajita seasoning (tip) - throw some in the burger mix for even more taste! Thanks Tano! Very kind of you to say. Glad you enjoyed! Made these as soon as I discovered the recipe ….. as I happened to have everything I needed right here. Absolutely awesome! They held together beautifully and tasted incredible! Husband (carnivore) tried one and commented “tastes ok but it needs something!” …. Silly man still thinks of veggies as side dishes nothing more. I will make these again and again. 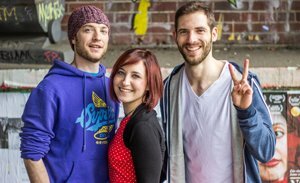 Thanks again you 3 for making my veggo journey such an easy and awesome one! Ah wow, thanks Jo-Anne! I’m so happy they worked so well for you. Haha yeah, that happens :D. But slowly and surely we’ll win the rest over. You’re very welcome, and great to have you with us! One serving is 1227 calories? Or is that for the entire recipe? Super excited to try them but unfortunately that’s more than this dieting vegetarian can do for one meal. 1 serving = 1 burger, yep! Haha! Thank you, I was wondering if I had to run a marathon first before I had one, lol. Delicious both on the BBQ and in the pan! I personally prefer the pan version as the patties get crispy (if you put them in flour prior to frying). Even my husband admitted they waste well & are ok to be cooked again :-). Thank you for the great recipe. I give four stars for the BBQ version (not juicy enough) but the pan version compensates with its crispiness, so five stars. 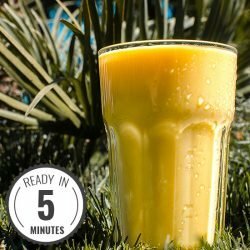 I love the recipes and ideas on this website! Thank you and keep up the good work! 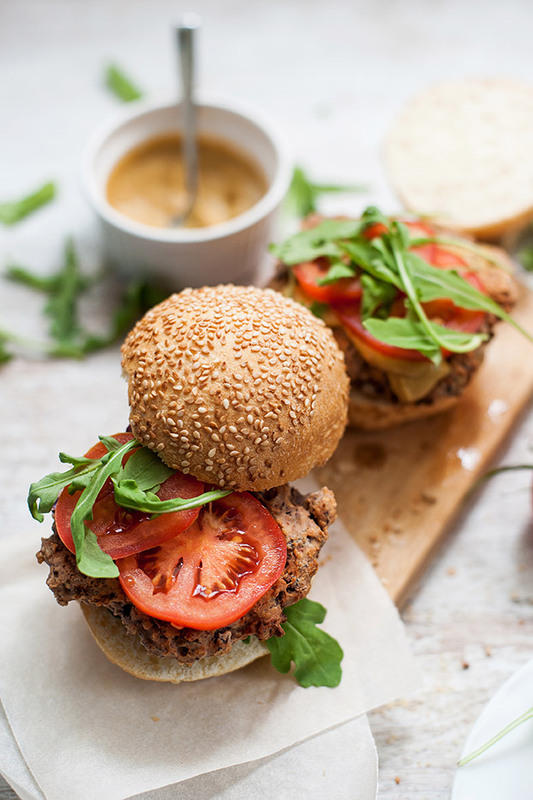 This is the BEST black bean burger recipe I have ever tried! I never get on food sites and leaves comments but I just had to this time! Bravo!! And thank you!!! These look and sound UUUUHMAZINGGGG! Can’t wait to grill some this weekend – I’m sure they’ll turn out fab. Thanks for the recipe! I made these and they were a big hit with all the family! I put in extra oats as I used my food processor to mash the onion and tomatoes (lazy haha) and that made the combination a little more wet, so I added the oats to compensate. 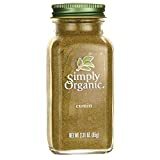 I also put ground cumin in as I just read the recipe and didn’t look at the photos but now I see that the cumin is actually whole seeds – will try them whole next time! I put them on a wrap and fried it closed in a little olive oil as I am not keen on too much bread. Anyway, they were beautiful. Kept together so well. Were perfect even for a good hearty breakfast the next morning. 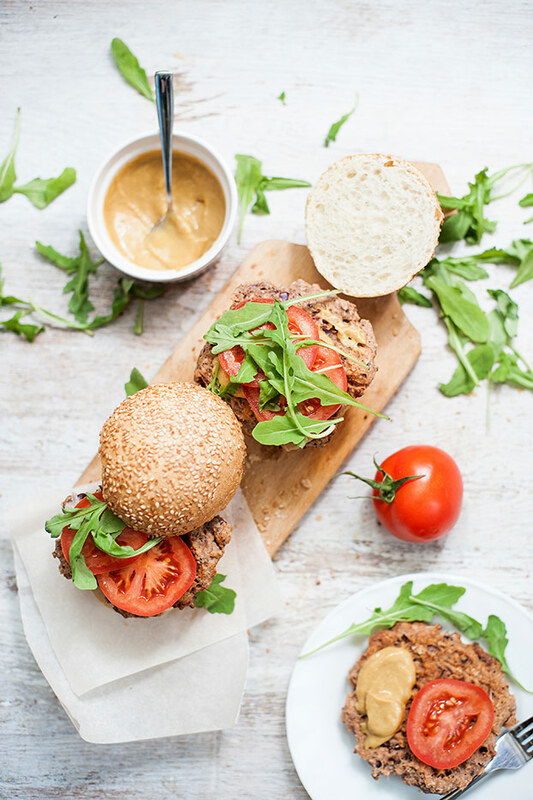 We loved them and this is now my go to recipe for burgers. Hi Ayesha, I’m making these this evening. I like your idea of the wrap. I think that’s the way I’ll do them, sounds good.